A big to-do list often keeps homeowners from taking proper care of their homes and especially their windows. Most of our customers don’t even want to be bothered with their windows. This is a job we do well. This is why they leave window cleaning in Acton W3 to us. Our company has the know-how to deal with this task. We have well-trained cleaners who operate to a high standard. We stand behind our service. We are responsible, diligent and caring. Don’t let your windows build up unpleasant grime. Book our service today. Our window cleaning service in Acton W3 is absolutely reliable and effective. 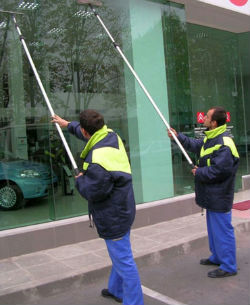 We will leave no streaks or marks on your windows. They will be sparkly clean within a few hours. Using modern cleaning techniques, we can ensure the best results. A clean window can totally transform the exterior of a home. Not to mention, it allows more natural light indoors. It is important to clean your windows every few months to add shine to your property. Our window cleaning service in Acton is just what you need. It not only deals with mud and dirt that settle on windows, but also it is absolutely affordable. Window cleaning is a burdensome task, considering that you may have to get on a ladder. We really think it’s best to leave that to the professionals at our company. We know best how to handle the situation. We are equipped with the right tools and equipment but most of all, we have the necessary skills, knowledge and experience. We will get rid of fingerprints, airborne dirt and dust, stains, cooking residue and pet smudges. When we are finished, your windows will be looking good. So, if window cleaning is due in your home in W3, no matter which season it is, don’t be afraid to give us a call and get our window cleaning package. We will leave you satisfied. Book a service.